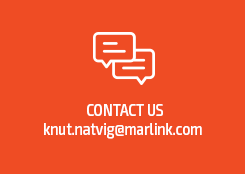 Marlink has started the roll-out of a new integrated service desk to act as a single point of contact for all customer support across its entire connectivity portfolio and business critical solutions. Using ITIL (Information Technology Infrastructure Library) standards, Marlink has streamlined customer support by delegating ownership of the support lifecycle including ticket tracking, to the service desk. The new approach is set to enable faster resolutions for Marlink’s ship-owner customers as well as land-based users across all market segments served. With more than 3000 VSAT terminals and more than 100,000 active MSS subscribers/terminals, Marlink’s support organisation is a key aspect of its global service delivery promise to customers. To ensure high levels of service availability, the company has developed an extensive global support organisation as part of its Customer Proximity Program. Marlink customers can contact the company 24/7 on a ‘Follow the Sun’ basis, from service centres in Singapore, Bratislava and Houston. The global service desk is supported by a network of 59 Marlink Field Service Engineers and Partners, 14 warehouses and bonded facilities for fast turnaround on product and spare parts delivery and two major VSAT Implementation and Repair Centres. Marlink’s new service desk will act as the point of contact for all customers, regardless of their choice of connectivity platform (VSAT, MSS or multi-band) and which business critical solutions they are using, including the XChange communications management system and the SkyFile software suite. Marlink customer surveys already show a significant increase in customer satisfaction. The company will continue measuring using industry standard NPS (Net Promotor Score) and CES (Customer Effort Score) as management tools in order to further improve its new support organisation. With quality of service at the forefront, Marlink’s is committed to adherence to ISO 9000 globally, in addition to development of ISO 20000 standards, which are already in place in specific parts of the company. The primary driver for the changes to Marlink’s customer support organisation is to ensure that all support requests are met quickly and efficiently, in order to ensure high availability of service for customers. The new service desk reduces the number of interactions with different departments in Marlink for customers during a support ticket lifecycle, speeding-up procedures and reducing customer effort to resolve issues. As a set of processes, practices and standards developed to improve IT service management, ITIL enables more transparent and documented processes for Marlink’s customer support team. Currently in the introduction phase, a key aspect of ITIL for Marlink is that all data relating to a ticket will be documented and implemented in a Service Management System. This will ensure that support actions are carried out the same way every time, leading to a more coherent response to customer support tickets. ITIL also enables Marlink to manage Service Level Agreements (SLA) and service levels as a service, while new connectivity services and business critical solutions will be implemented and deployed in a more controlled way, resulting in improved customer experience.